Amazing that the blogosphere gives you a platform to express yourself and award you for every given hard work in improving lives. 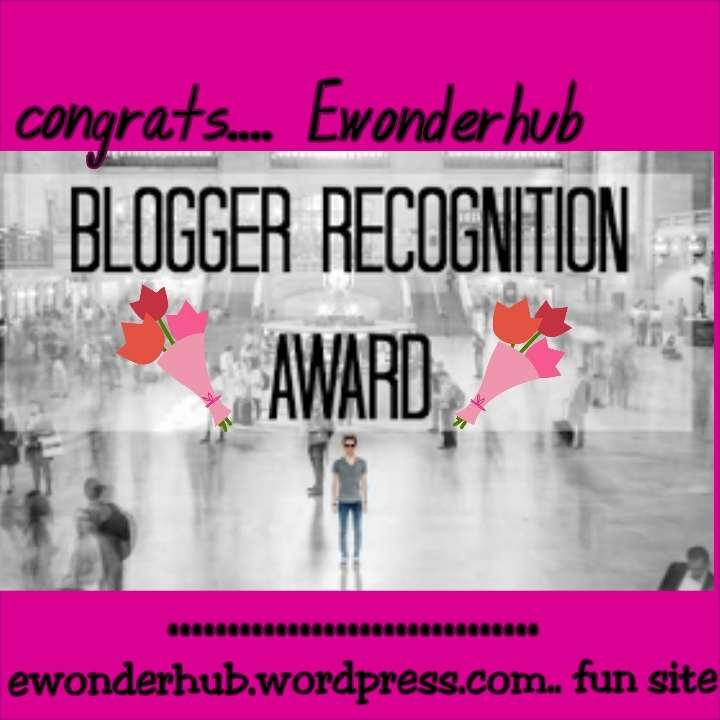 This award was created for connections between bloggers to help and know each others work. 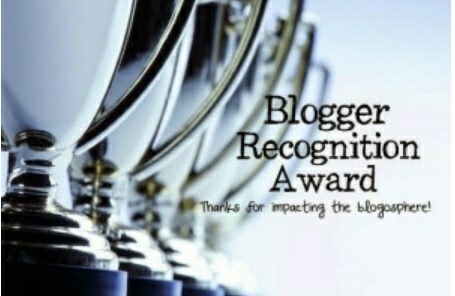 But before I begin to answering the rules, I would like to thank Trina of itsgoodtobecrazysometimes.wordpress.com , one lovely thing about her blog is how well she speaks to the world about herself and mental issues, being so free to share her thoughts and feelings..
*** thank the person who nominated you and provide a link to their blog. *** Attach the award to your post. *** write a brief story / history of your blog. *** A take down of advice to New bloggers. *** Comment on their blogs to notify them of the nomination. In the heart of a talented person lies a motion of improving lives, that’s how it burns in my heart where i felt like sharing my creative side both in fashion designing and love in music composition. So I thought of several ways to share them until I got introduced by a friend who led me to the world of blogosphere which i landed safely with the name Ewonderhub with the intention of making it a hub and not only a blog but to create a platform for exploring into the world of creativity, the world at large and visiting the artistic beauty of the universe. A take down of advice to New bloggers . ***Tagging*** this does a lot for a post because it links people to finding your blog post. ***liking bloggers posts*** that’s a serious way in creating connection, in the sense of liking and the blogger equally liking back. ***following bloggers*** yeah, maybe you might get only 2 followers and then following 20 bloggers, but sometimes it’s advising to follow because it’s said “rock Peter to pay Paul” while in turn they follow back. ***headline*** what you don’t know sometimes is that a post might be great but the headline is bla bla bla which gives people little or no attention to your post. Sometimes re-bloging great post from great blogs which gains you traffic, joining blog parties, commenting on readers and most especially having your own categorized unique idea which no other bloggers has created like mine is Inspashion and Musfash. All these gains you more traffic for bloggers to know who you really are and what your blog is all about. Great luck to up comers. Guess here’s the end of the trip. Waiting for your responses to the award and would really love if it’s being accepted….